Photographer: Andrew Yee. Model(s): Kamila Filipcikova, Karo Mrozkova. Source: How to Spend It Magazine. Stylist: Karen Levitt. 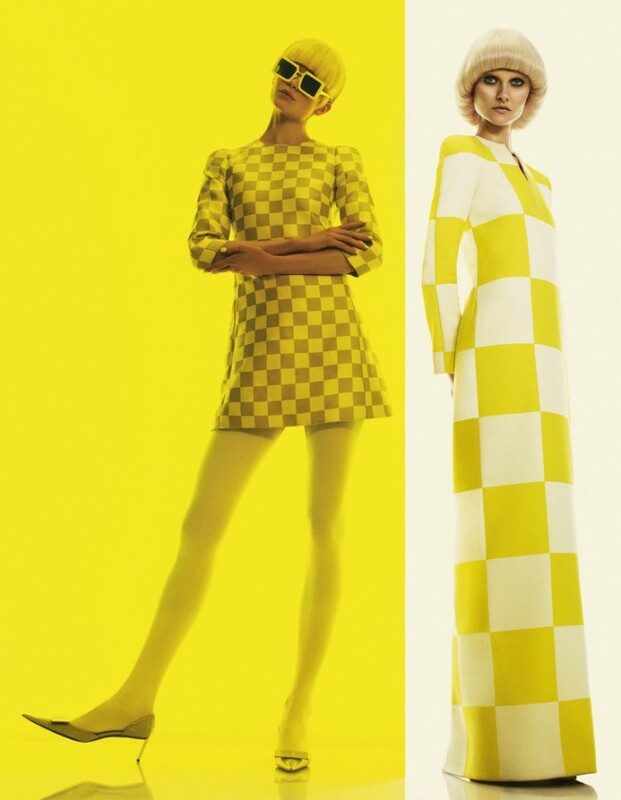 Kamila Filipcikova & Karo Mrozkova are pop fashion sensations in ‘A La Mod’ by Andrew Yee for How to Spend It Magazine. All season we’ve been waiting for that one brave artist to come along and really hit our Mod spot. And now we see that every 60’s-inspired layout so far has merely been foreplay. Working on the pleasure principle, Yee aims to excite, with images so satisfying you’re sure to reach the big fashion “O.” It’s the ultimate merging of the moment. 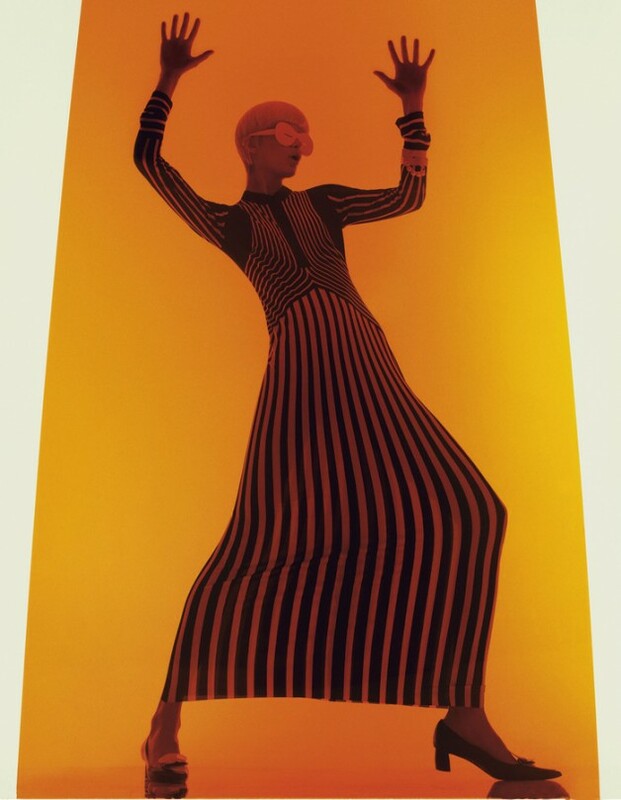 Graphic works that define an era yet still manage to be ultra modern, are past inspired they are visionary. An ode to the spirit of the silhouette, Karen Levitt’s stunning selections of structurally enhanced styles, honor the original intent of the movement, while taking this popular trend to the future. Capturing the pop-art phenomena to perfection, this enticing mix of color, shape, style & set gives this editorial a Warhol edge. Andy Warhol’s ability to blend his subjects with the background was more than styling, it was creative choreography. When the model(s) transform in such a way that you consider them part of the art, I call it, Creative Extensionism. A dynamic blending of elements, Yee’s eclectic interpretation of retro-modern has redefined the standard of fashion fusion.